It always thrills me to see how different people use the Santa Rosa Labyrinth design and make it their own with their unique preferences for material and landscaping. And it is even a bigger thrill when I get to be a part of the design team for people I know and love, like my longtime friends from high school, Rose and Joe Pierre. I was actually in their wedding! 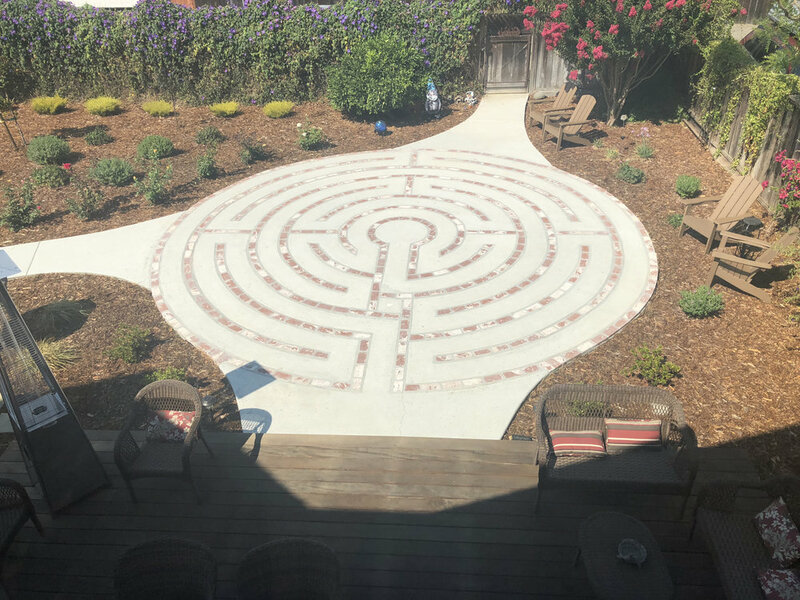 When they moved to their new, but old, craftsman style bungalow in Benicia, CA, I was delighted when they asked me to help them design a labyrinth for their backyard renovations. 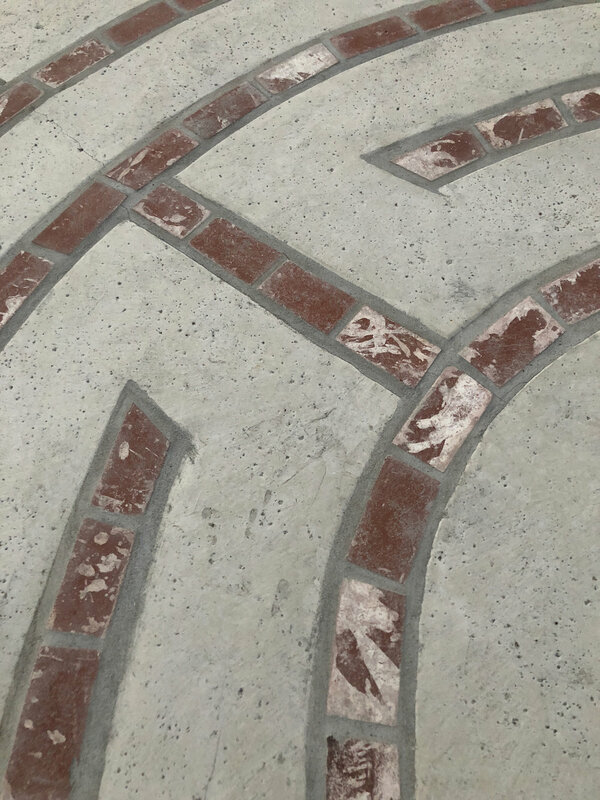 Rose wanted the Santa Rosa design as she has experienced and walked my labyrinth many times over the years. And what better labyrinth than the Santa Rosa for her name and where we first met? The Pierres were responsible for choosing the material after looking at different stone options with me. They chose the softened bricks, which is a technique called a "German smear" or "mortar wash." This softens the bricks, helping them to blend in with the textured concrete. First the forms were laid for the concrete paths and walkways to be poured. 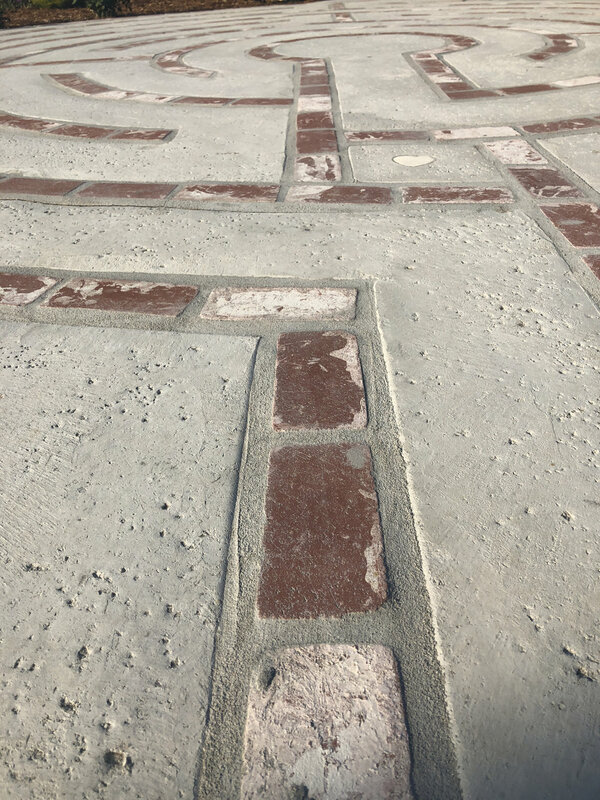 The texture in the concrete was created by adding large grains of salt when the concrete was still wet and then pressing it in with a flat-roller. After completely drying, power washing removes any residue salt and leaves the texture behind. Joe hopes that over time, little bits of moss will grow in the dents and add another dimension of beauty to their labyrinth. 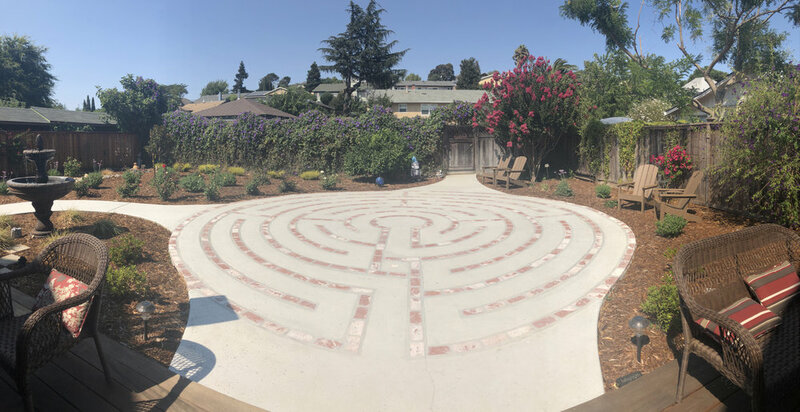 This beautiful labyrinth was completed in September of 2017. 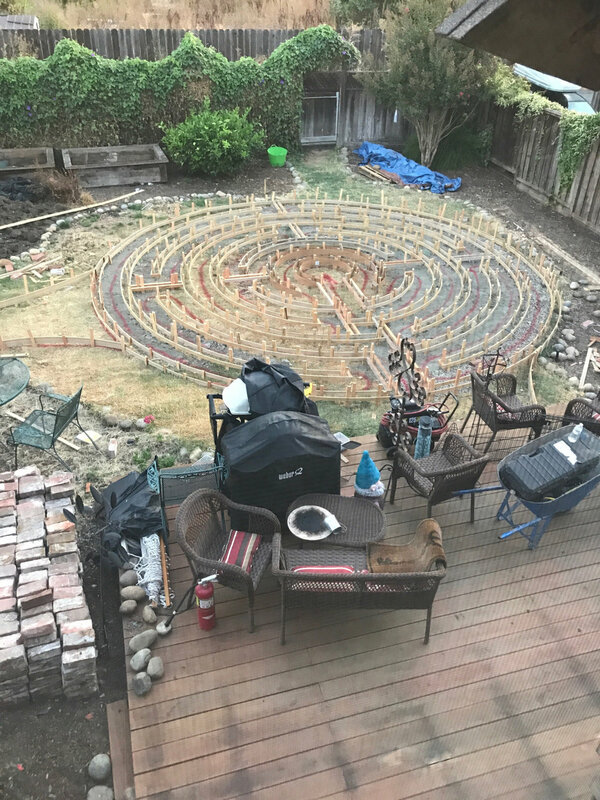 Plans were in the works for an open house and the sharing of their labyrinth with friends and family when the firestorms of October 9, 2017, hit the city of Santa Rosa and the surrounding Sonoma County area and our neighboring Napa and Mendocino Counties. Several of Rose and Joe's family members lost homes in those fires and their open house had to be delayed until August of 2018. I don't know of two people who live life as fully from their hearts as Rose and Joe. It is perfect that they now have this symbol of "walking a path with heart" right in their own backyard. Sign up with your email address to receive news, updates, and creative sparks!